Melissa will be attending East Harlem Family Day on Saturday, June 1st at PS 7’s playground on East 119th & Lexington Avenue. 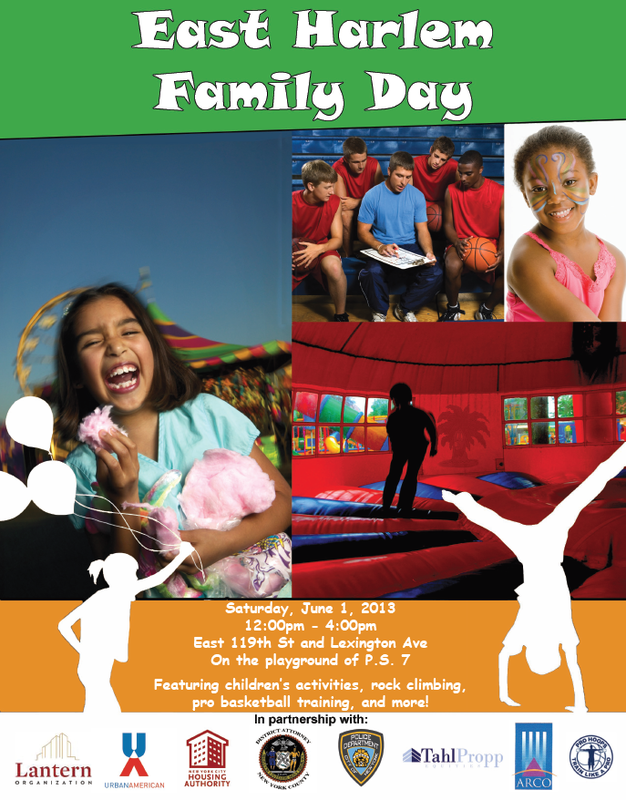 East Harlem Family Day is going to be a day filled with fun activities for the entire family, like rock climbing and pro basketball training – so make sure to stop by! This entry was posted in Blog, East Harlem, Events and tagged activities, East Harlem, family, Family Day, fun. Bookmark the permalink.